5 Star Events Disc Jockey Award Winning Best Boston DJs!! We would like to say thank you to our wedding clients and business colleagues for giving us so many stellar online reviews & for voting 5 Star Events, the best Boston Wedding DJ. Your time & efforts have resulted in many industry awards including the Knot’s Best of Weddings, Wedding Wire’s Bride’s Choice Award and the Boston.com City Voter award for Boston’s best DJ company. We are honored and humbled. Thank you, thank you, thank you!! 5 Star Events | Greg Hodges from Jeff Brouillet on Vimeo. If you enjoyed the video above, please visit the site of my friends and amazing wedding cinematographers Jeff Brouillet & Amanda Gosselin of Ready Set Film. They took on my project with an unbelievable level of excitement, creativity and of course talent. I am very proud or the result and want to publicly say THANK YOU!! Why hire a 5 Star Events disc jockey? I know I may only have your attention for a few minutes so I’ll get right to the point. 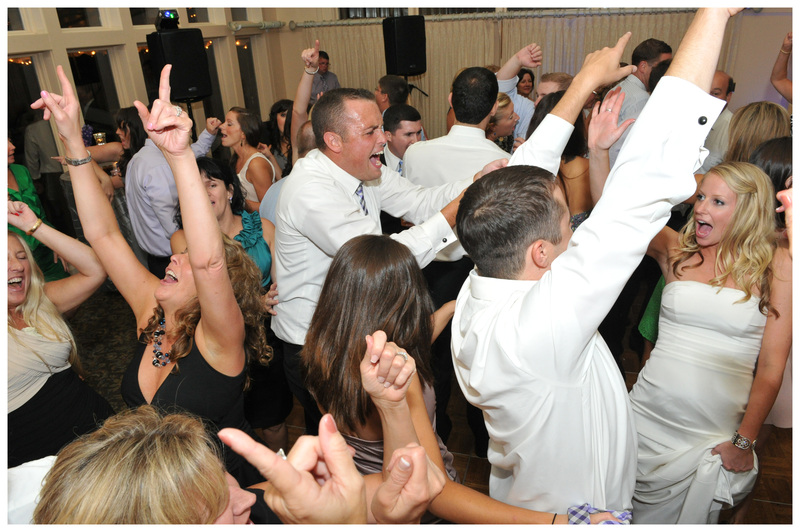 If you hire me as your disc jockey, you’ll have a great event – one that you, your family & your friends will all enjoy. That’s my promise to you. My name is Dave Hodges and I am the owner of Rockland based DJ company 5 Star Events. We have specialized in wedding receptions & events from Boston to Cape Cod for over 30 years. We help create events with a soundtrack perfectly matched to our clients and their guests. We keep the dance floor filled, without games or gimmicks, only great music. For our wedding clients, our style is more reserved than flashy. If you’re looking for a disc jockey who needs to be the center of attention, we’re not for you. We don’t do back flips, magic tricks or tell jokes. We don’t make your guests dress up in silly costumes or do embarrassing things. 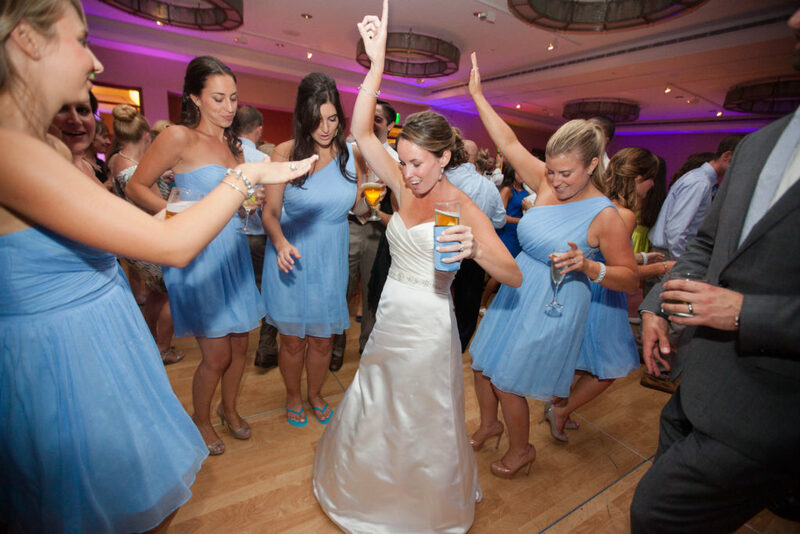 We create fun & memorable weddings without becoming the “life of the party”. Please see my article “Hire a Wedding DJ in 7 Easy Steps.” I guarantee it will be worth your time!! Although we prefer to fly under the radar, we’ve had some recognition that lends to our credibility. In 2011 we were selected as Boston’s Best DJ Company in the A-List, Boston.com City Voter contest. In 2006 we received the CBS 4 Editor’s Choice Award for Boston’s Best Wedding Entertainer. That year I landed an acting role in Showtime Entertainment’s critically acclaimed series “The Brotherhood”. You can see me play the wedding disc jockey in the series finale – I guess it wasn’t too far of a stretch. We have also been awarded the Bride’s Choice Awards by WeddingWire 9 years consecutively from 2009-2018. Make Planning Your Event Fun!! We’ll give you all the best secrets, hints & tips to make sure you get the most of your celebration. Over the years, we’ve been part of more than 2000 events. We know from experience what works & what doesn’t. We track all of the new trends and keep our collective finger on the pulse of what’s going on. Most importantly, we’ll take the time to make sure you know these things. When you hire us for your party, you’re getting much more than a dj for your event, you have us at your service from now until then. If you consider 5 Star Events, you’ll find we’re dedicated to our profession and to our clients. We go to great lengths to make sure that your entire experience is a great one, and that starts long before the actual party. We believe planning your celebration should be as enjoyable as the event itself. To help with this, we’ve developed resources and tools to make this part of the process fun, easy & worry free. You’ll also have your own personal client area on this website. Once logged in, you’ll have access to my favorite tool the playlist creator. You can use it to search through nearly 100,000 songs and create playlists that can be saved, updated and emailed. Best of all you can listen to any of the songs & read their lyrics. If what you’ve read so far is interesting to you, please explore our site further. If you’re a techno junkie or computer geek and would like to learn about the equipment we use to play music for weddings. The systems we use are ones I developed and are being used by amazing disc jockeys around the world. If you’re looking at other DJ companies, or have been to Boston’s most popular clubs, you’ll find many use equipment made & distributed by Pro DJ PC, a company which I started. We’d love it if you’d read what our clients have to say about us. You can read their reviews of the services we’ve provided by clicking on the Weddingwire widget on the sidebar of this page. If you’d like to get straight to pricing & packages, you can find that information right on this website. Some djs make you sit through a presentation before revealing how much their services cost. We prefer to be up front, open & honest. We’d rather you decide if our pricing and offerings fit your budget before committing to a consultation. Thank you so much for visiting our site. If we can answer any questions please email us directly using the link below, visit or contact page, or call me direct at 781-424-5000.